It’s understandable that you’re panic when you’ve forgotten your Apple ID password. Fortunately, if you remember some of the information you used to originally set it up, resetting your password is fairly simple. 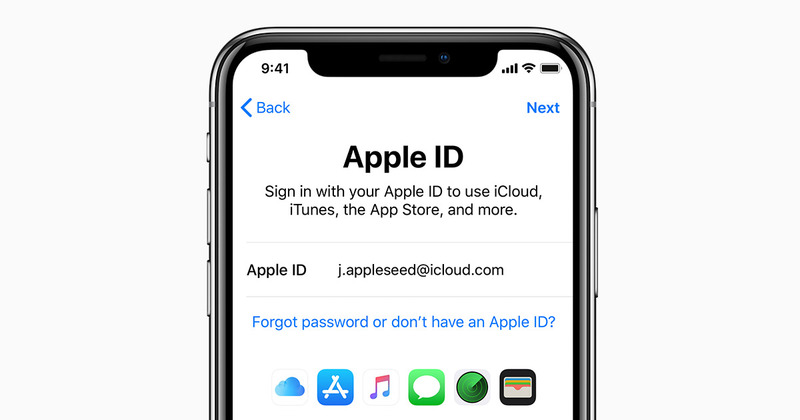 Apple provides multiple ways to recover a forgotten ID login or password, and you can start the recovery process directly on an iPhone, iPad, iPod touch, Mac, or Windows PC, or just about anything with a web browser. Here we provide the post about what to do if you forget Apple ID password. Step 2 Enter the email address associated with the account and answer the security questions as usual to complete the password reset process. Two-factor authentication is an extra level of security that Apple has been pushing since the roll-out of iOS 10 and macOS Sierra. Step 1 Go to Settings on your iOS device. Step 2 Tap your name > Password & Security > Change Password. For iOS 10.2 or earlier, tap iCloud > your name > Password & Security > Change Password. Step 1 Go to Apple menu > System Preferences, and then click iCloud. Step 2 Choose Account Details. Step 3 If you’re asked to enter your Apple ID password, click “Forgot Apple ID or password” and follow the onscreen instructions. You can skip the final steps below. Step 4 Click Security > Reset Password. Before you can reset your Apple ID password, you’ll be required to enter the password used to unlock your Mac. Apple users who were concerned about security at the time may have two-step verification set up for their Apple ID. If this applies to you, you would have been sent a 14-character Recovery Key that Apple advised you to print and keep in a safe place. If you’re using two-step verification, go to your Apple ID account page and click “Forgot Apple ID or password.” If asked to confirm your phone number, use steps for two-factor authentication instead. Enter your Recovery Key for two-step verification. Password recovery depends on whether you know the Recovery Key. If you don’t, you won’t be able to recover your account. Even Apple is unable to reset your password if you don’t have this Recovery Key. If you have this form of security and don’t know where your Recovery Key is, you can get a new one by going to your Apple ID account, signing in with your password and email address and choosing Replace Lost Key. How to Unlock iPhone? How to Erase iDevice’s Data Remotely? How to Activate iPhone? How to Download Apps Without Apple ID & Password? What to Do If You Can't Activate Your iPhone? How to Fix An iPhone That Keeps Asking for iCloud Login & Password? Apple ID Has Been Disabled? If You Forgot the Passcode for Your iDevice or Your iDevice is Disabled?